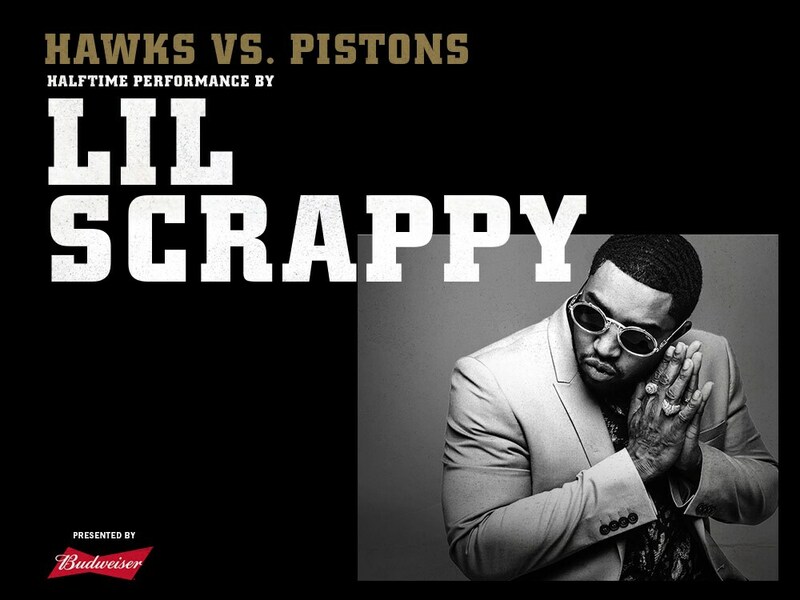 Atlanta Native Lil Scrappy has been tapped to perform his iconic city anthem “Forever I Love Atlanta” during halftime of the Atlanta Hawks 50th anniversary game Friday, November 9 vs. Detroit presented by Budweiser. Lil Scrappy, born and raised in Atlanta is a performing artist and reality TV star who has been featured on seven seasons of VH1’s media franchise Love & Hip Hop. In 2004 Atlanta artist Lil Scrappy and the Atlanta-based group Trillville released a collaborative album entitled “Trillville & Lil Scrappy” which climbed US Charts, US R&B Charts, and US Rap charts landing Lil Scrappy with a RIAA Gold Certification.